Mary was the daughter of Katherine of Aragon and Henry VIII. Katherine was Henry’s first wife, whom he set aside to marry Anne Boleyn with whom he had Mary’s half sister, Elizabeth. Both girls were ultimately to rule England. This though is Mary’s story, the story that made a young girl into the Queen she was. It is a story knotted and entwined in her father’s desperate need to sire a son, with his drive and determination to marry Anne Boleyn, and when that resulted in her death, with his marriage to Jane Seymour. The Tudors, for me, start English history. From them, my knowledge of history spreads, a little like a poorly made spider’s web. They weren’t perfect. Then again, history was a different place. They did things differently then…so differently. Their knowledge and beliefs were diverse too. This story covers the period before Mary or Elizabeth had ascended the throne. The courtiers, and Henry VIII had nothing to compare, they didn’t know the strength, knowledge and forethought that a woman can have. Hindsight is a marvellous thing. Then again, when you look at our more recent history, perhaps it isn’t so different. There are gaps in our knowledge about the Tudors. They are the people I’d like to meet from the past – there are so many questions. Not just of this period, but of Elizabeth’s time on the throne, and Mary’s too. Lucy Worsley, of whom I am quite jealous, lives and works around Hampton Court, amongst other palaces, as their Chief Curator. She knows her history. 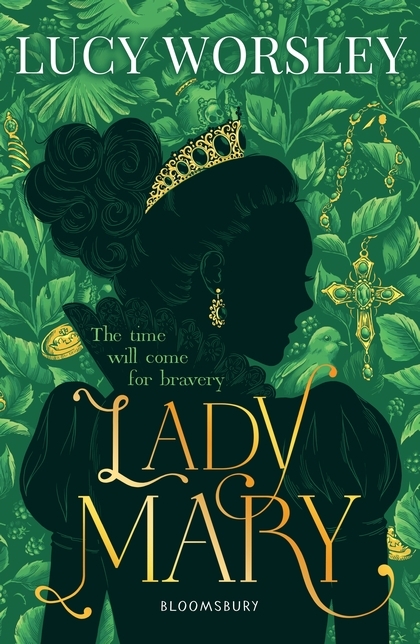 I hope she will go on to write the other two stories, that of Elizabeth I and that of that much desired boy Edward VI – whose lives were so tied to the need to ensure there was a prince to follow in Henry VIII’s footsteps. Lucy Worsley has written three books, so far for this age group, though this, perhaps, is my favourite. This is the story of Victoria. Actually its about two. There is a slight twist to the true story of Victoria’s life in Kensington Palace, but based as always in historical fact. This is the story of a young princess, controlled, and driven who finds a friendship where she doesn’t expect it. 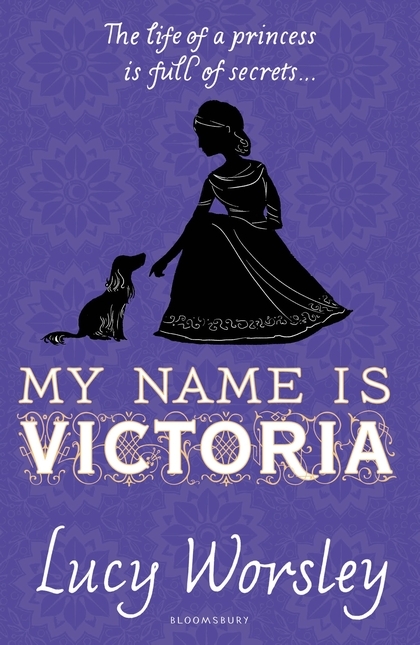 It is also a story of Sir John Conroy’s daughter named Victoire, who was Victoria’s companion. I rather like the idea of the twist, but wonder how successful such a scheme as proposed by this novel would actually be. The book does cover Queen Victoria’s rather lonely and strange childhood extremely well – and the end is a piece of whimsical pondering that makes it all the more fun. 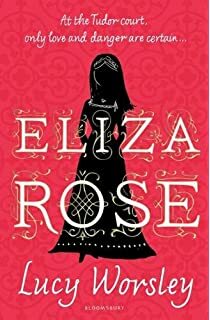 Lucy Worsly has also written Eliza Rose, also reviewed on this blog, which is already ‘out’ and available to purchase from ‘all good bookshops’. You really can’t beat Henry VIII and his six wives for drama and for being just a human story – we know a great deal, I suspect guess quite a bit about what happened, but also know so very little too. That the circumstances around Henry’s matrimonial problems, were often part of the reasons why people behaved the way they did, and often the result of just being between a rock and a hard place. Who can say why Henry only managed to produce three children? It is interesting that he was after all the common denominator in all the relationships. Eliza Rose is Lucy Worsley’s interpretation of this part of Tudor history – Anne of Cleves and Katherine’s rise and subsequent fall. It has more depth than many of the Tudor histories I have read that have been written for young readers. Lucy Worsley’s knowledge of how palaces worked means that it fits together better, runs more smoothly and was a real pleasure to read, even though I knew the outcome of the story. Eliza Rose is a fictional character inserted into history – a ploy that sometimes doesn’t work. In this case Lucy’s depiction of her character, and what happens to her are believable to the degree I had to check as to whether she really was a piece of imagination or had lived and was a character I just hadn’t heard about. There was without doubt more to the tale of Henry and his six wives. The demands were different, as were expectations. Attitudes and beliefs were different. Henry might well have been a despot. I think he was also a human, with human frailties, hopes, desires, and fears. As for his queens – all I think were victims of circumstance, some the result of just taking one too many chances (and who hasn’t done that, at least once in their lives), as well as being as brave, naïve and just caught up in other’s and their own hopes and dreams. I really enjoyed this – I hope Katherine had someone like Eliza Rose in her life. In this book they may have been inadvertent rivals, but were also caught in the same circumstances. I hope that Lucy will write more books about the Tudor period – this I carried around with me for 48 odd hours, and frantically searched the house late last night so I could read it before I went to sleep; only to find I’d left it in the car. Finished this evening…a very satisfactory retelling of a very traumatic story.